Joe has been more than instrumental in the Texas River School’s programs, he is the reason for them. With a passion for experiential learning versus being “taught,” he is the catalyst for the River School’s success – from putting in long hours and days on rivers and in the classroom to providing expertise and gear for a trip, he is the man with the plan. He has been a river otter since the 70’s and founded the Chautauqua Foundation, Inc. and the Texas River School in 1992. We often sit in amazement as Spider shows children how to perform canoe over canoe rescue and most other canoe skills because he contains the pure spirit and understanding of youth while also encapturing and holding the camper’s attention – completely. “Aight? !” He has been a camp instructor and canoe guide since the 70’s and a guide for the River School since 2002. Our favorite “La Reyna” of the river, Terry emboldens campers to take responsibility for their actions and learn about both our waterways and life by doing so. While she encourages the deepest respect for nature, she always has a jovial demeanor and enjoyment for children’s growing love for the river. Terry has been a camp counselor beginning in the late 70’s and a guide with TRS since 2005. 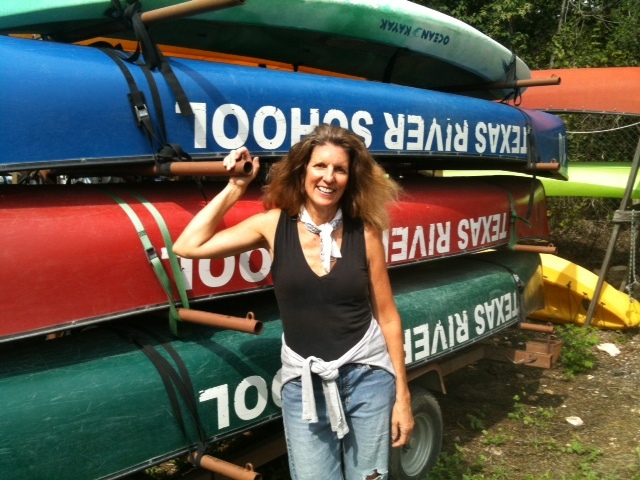 She has been a lover of the river since her Venture Scout days in 2002 and has been a River School instructor since 2008. Kathy is the instructor anyone – camper or guide – can go to for an immediate boost in their mood, for she has a vibrantly positive attitude towards life and the river. She has been with the River School since 2009.